Extremely limited 2LP vinyl version! Following April's well received CD release, Esoteric Recordings are pleased to announce this 2LP edition of the latest studio album by TODD RUNDGREN. Todd's latest musical vision is a contemporary fusion of rock, soul and electronica that is at once danceable, ground-breaking, spiritual, challenging and infectious, not to mention perfectly suited for the sonic qualities of vinyl. 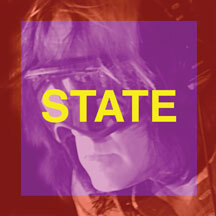 STATE continues Todd's tradition of boundary-breaking works, and its finely crafted songs once again push the creative envelope.